The Brighton Kai Shin Kai is pleased to announce our March 2007 Aikido Seminar with Sensei Bernard Harding (6th Dan NAF National Instructor). Click the link below for more information. Welcome to the internet home of the Brighton Kai Shin Kai Aikido club. This site is designed to be primarily for our existing members and for new members wishing to learn aikido. We also provide information on news, events and courses run by the National Aikido Federation, affiliated clubs and other organisations. 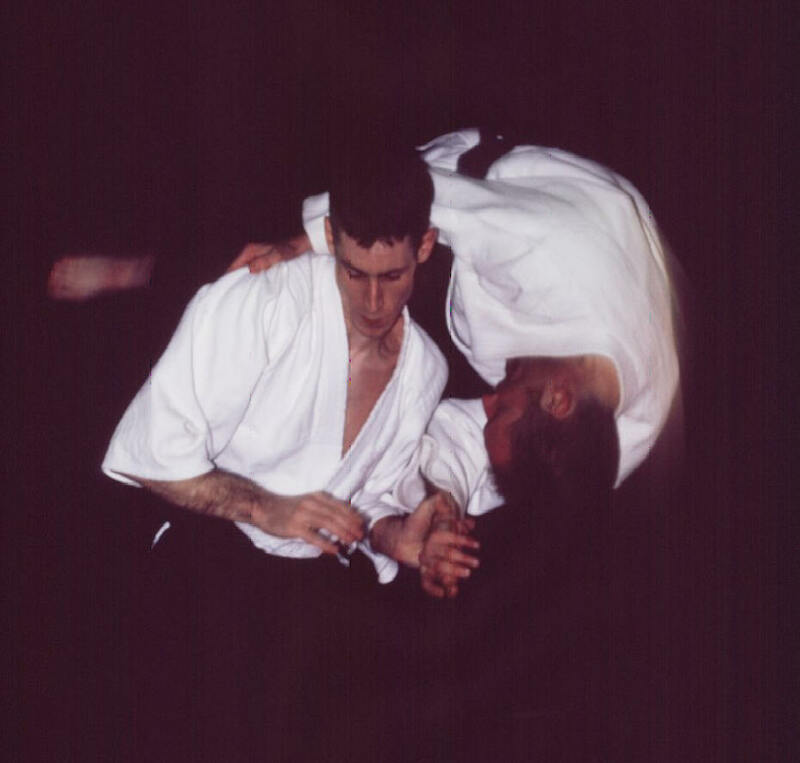 The Brighton Kai Shin Kai Aikido club, in South-East England, was formed at the beginning of the 1990's and aims to teach Aikikai style Aikido in the traditional manner. The club prides itself on providing students with a solid understanding of the fundamental principles of aikido, resulting in well rounded aikidoka. Moreover, each student is encouraged, and is free, to progress at their own pace and in their own time. For a brief introduction to Aikido click here. The club meets every Monday and Wednesday evening at Portslade Sports Centre and both lessons are open to anybody who wishes to learn and practice Aikido. No prior martial arts experience is necessary and everyone is free to learn at their own pace. The principal instructor of the club, Sensei Brian Mitchell has over 30 years experience in the practice of aikido and has been instructing for around 20 of those years. He currently holds the rank of Yondan (4th Dan). Our second main instructor, Sensei Michael Lawless holds the rank of Sandan (3rd Dan) and has been practicing aikido for over 23 years. Recently they have been joined by Sensei Steven Woods (1st Dan), who has been practicing for around 6 years and Sensei Darren Tostevin (1st Dan). We are affiliated with the National Aikido Federation and our members regularly attend courses held both inside, and outside, of the organisation. If you would like further information about our club, see the Classes section. For all the latest news regarding the club make sure you check out the up-to-date News section. If you would like more information, you can contact us via email, by using the feedback page or by attending a lesson.